Tired of those pesky weeds in the lawn? Do you want a greener healthier lawn? Let Grizzly Bear Lawn Care ease your worries. Our experts understand what it takes to achieve and maintain a healthy lawn. By offering fertilization and weed control programs, we are able to provide you with a healthy, beautiful lawn that you are completely satisfied with. If you want a green healthy lawn, you want us. 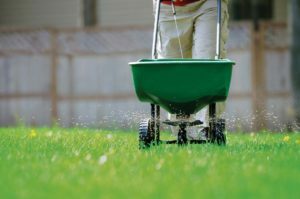 Why is Fertilizing My Lawn So Important? A healthy and actively growing lawn cannot get all of the nutrients that it needs from soil alone. By applying fertilizer, you are helping your lawn stay healthy and promote new leaf and root growth. Our team knows the fertilizers that work best for your lawn and utilizes the proper techniques during application, ensuring that your lawn stays healthy. 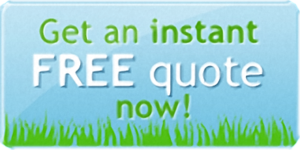 Since every lawn is different, we offer different programs to meet your lawn’s needs and obtain desired results. Our professional fertilization and weed control programs include an analysis of your lawn to determine the program best suited for your property’s needs. Soil type, grass type, the age of your lawn, pets, and more, are all important factors to consider. This is why each lawn needs a custom program. We also offer soil analysis to provide you with the information on what nutrients your lawn needs.